Organizing is Fun, when you turn it into a game! Enjoy getting organized by thinking of it as a game! Sorting Toys and Games: From the earliest ages we love to sort things by color, size, and shape. Remember how much fun that was? No, I don’t remember that far back either. But they teach important hand-eye coordination and problem-solving skills that we use all the rest of our lives. Just think of your home as a giant sorting toy! Concentration: The object of the game is to remember what you’ve seen earlier in the game and turn over pairs of matching cards. My memory isn’t the best, but I do seem to have a knack for remembering what I’ve seen in a client’s home and how it might help us with a problem we are facing. Even if we are only organizing the home office, or the kitchen, or whatever, I like to start with a tour of the whole house. Very often I will notice something in one room – a table, a basket, a piece of art — that can be used to greater effect in another room. Or, maybe we’ll be going through a person’s stuff and I make a literal match – here’s that missing shoe! Sliding Tile Puzzle: In organizing and redesign projects we usually need a staging area. This is where we set up sorting boxes labeled KEEP, TOSS, and DONATE. Or, where we temporarily relocate furniture and accessories that are no longer needed. But some homes are so full of clutter that there simply is NO space for a staging area! They remind me of those handheld sliding tile puzzles. The one I had as a kid was a map of the U.S.A. The tiles started out all jumbled and you slid them around until all the states were in their proper places. Just like organizing, it was usually not possible to move any one tile directly to its final destination. Both a series of moves and a little patience were required. 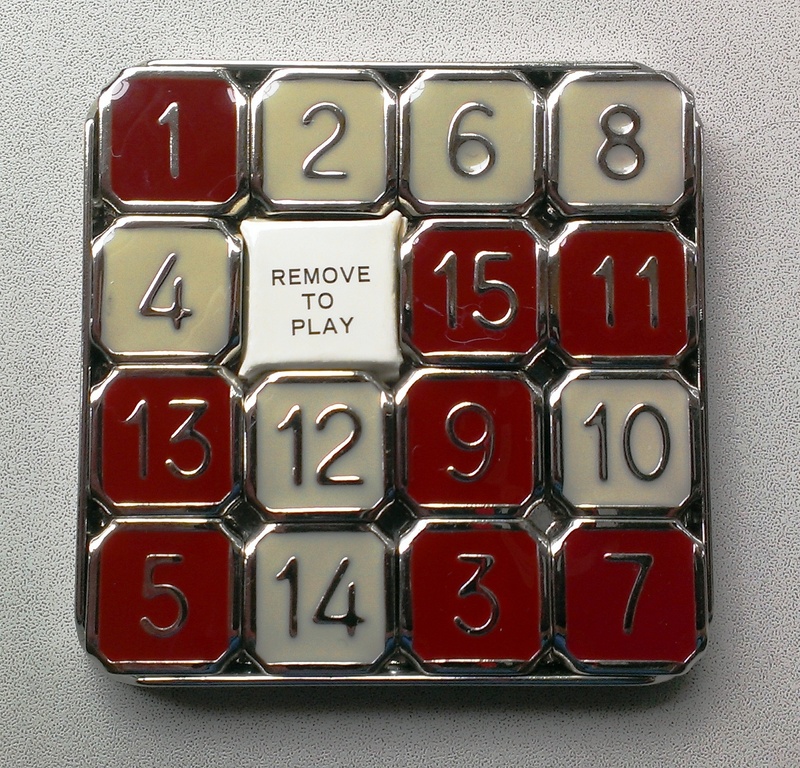 When you buy a brand new “15-puzzle” (shown above), there is a space-saver that actually says right on it, “Remove to Play”. If you don’t remove that little piece of cardboard, there is NO space, or staging area, to which you can move ANY of the tiles! In cases where there is no appropriate staging area, even in the garage, even outside, we look for categories of stuff that can be tossed, sold, donated, or temporarily stored off site. Sure, the stuff that remains is still jumbled, and there may be many small moves along the path to order and success. But once we have removed enough stuff, we can begin to play! Look around….what do you need to remove in order to play? 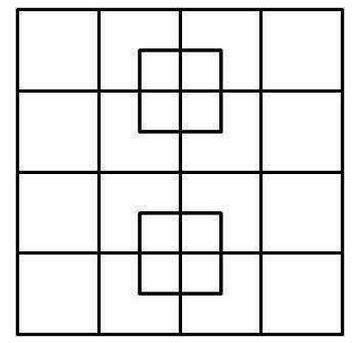 How Many Squares? : This puzzle has been making the rounds on Facebook. Everyone guesses 24 or 32 or whatever. 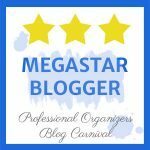 Because I came up with the “right” answer of 40 (the animated link shows exactly how), a friend commented, “I’m betting that your ability to see ALL the possibilities is what makes you a great organizer!” What a nice compliment! But also I think she’s right. I routinely am able to see storage space where my clients see none. And I can visualize several stages of a project, and the end result, when they can’t. I either convince them, or they just decide to trust me. The stages usually involve some combination of sorting, purging, rearranging, and containerizing. Any sort of “thinking outside the box” exercise will help you see things differently. 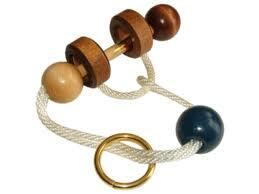 Wood-Rope-Ring Puzzles: YIKES! 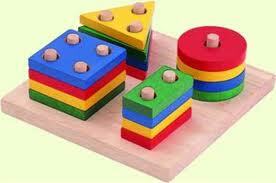 Have you ever tried to solve one of these? This is one type of puzzle that I avoid! If your organizing systems rely on tricks, sleight-of-hand, brute force, or a genius level IQ, you might want to rethink them. An effective system should be as simple as possible to ensure regular use. So, take the cleverly- and tightly-packed toys out of the original container and store them in a bin that is big enough to toss them into easily. Don’t store things in front of other things and expect to remember what’s behind them. Use shelving that allows you to access items on the bottom without having to removing a stack of other stuff on top first. Actually, I think everyone DOES like games and puzzles… of one type or another… and most every task or project can be made into a game if you just think of it that way. Update: Funny, but the #1 game I hear others comparing organizing to is Tetris. I think it’s an amusing analogy, but not one I actually like. Why not? 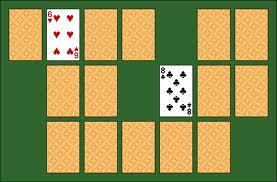 Because the goal of the game is to arrange the game pieces as tightly as possible, with no gaps. This is like the cleverly- and tightly-packed toys I referred to above. Yikes! What games do YOU like, and how can you turn YOUR mundane tasks into a game? I’d love to hear your thoughts! Please share with us in the comments below. 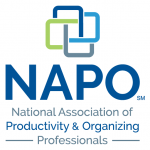 Do you organize the right way? Thanks, Liana! Have you seen my recent genealogy post — Puzzling Out Your Family History? Uses jigsaw puzzles as an analogy. I love puzzles as well Hazel, I love how you have linked puzzle solving to organizing, and you are right. I think we have forgotten we all have the ability to problem solve. Lots of times my clients solve their own problems while I’m there. Makes my job easier! I definitely feel this way about organizing. I love the challenge of figuring out how I am going to put everything together. It is a “rush” for me… while I know others don’t enjoy the process. By the way, that fifteen puzzle is my daughter’s favorite. She always carries it with her. My favorite part of the Fifteen Puzzle is the symbolic “Remove to Play” square! These are great analogies Hazel! I especially like your point about removing that piece to play the 15 puzzle. It’s so important to make some space to work when tackling an organizing project. And I’ve often compared organizing to playing Tetris but I never thought of it the way you pointed out… I tend to think of it as trying to find the best way to make things work in the space available… or maximizing space… especially if I’m working with small spaces. But now I’m going to be more aware of the “tight fit” idea. Thanks for all of these points! I think that’s what most people are thinking when they mention Tetris. Thanks for your comment, Hilda! I love your fun perspective in this post, Hazel! Reading it, I was reminded of a birthday party game they used to play when I was a kid where they’d show you a cluttered tray of items and then take one or two away without you seeing. They’d re-present the tray and have you guess which things went missing. It obviously got easier the less items there were and life and spaces are easier to maintain with less things too! Good one, Sarah! Thanks for chiming in! I was googling and play and found your post. I love playing, but hate organizing and am trying to find ways to make the task more palatable, so I actually do it. I’m a bit of a perfectionist and found that a game gives me the opportunity to come up with the closest fir in a given time, rather than mucking about forever for the solution that will be best, now and forever and for all times. The SPARKLE – the same as above, but 5 munites each. A little bolt is a sparkle, right? Maximum duration: 30 min. MOVING MOUNTAINS: I feel with what you said about space. This can be done only, if you have some space available somewhere, let’s say 2m x 2m – if need be on top of the bed. I find, that if I move stuff out of the room I’m trying to organize (a mountain of stuff, usually), that I get much better at assessing it. It is already out of contect, ‘outside the box’. I prefer my living room, which is normally the l;ast room to clutter up. The more clutter free the room is, where the mountain gets moved to, the better the effect. LOOKING for TREASUE: Errmh – yes, I’m still rather disorganised. Looking for treasure simply means, fidning things I know actually have a place and can be put away = are belonging to rooms that have been somewhat organised. Can also be played as LOOKING for JUNK or whatever other category you may have. Sometimes going through a pile with a particular function in the head gives different results, then if you sort a pile pieve by piece. Remember jigsaw puzzles? How many people would pick out all edge pieces or all sky and then focus on that? It’s a good working strategy, not just for jigsaws. I’m yet to come to the 15 puzzle, I’m still trying to create sorted piles/boxes before I can go on to re-organizing where they are stored. Thanks for your website and the help buried in it. Hi Heidi, it’s true that different types of games appeal to different types of people. Or even the same person might want a change of pace sometimes. Thanks for chiming in with your ideas!